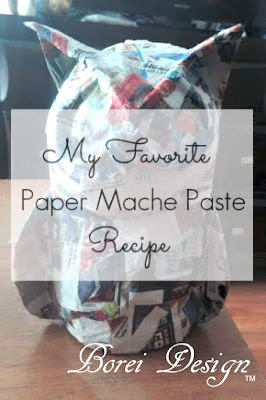 A fellow blogger & designer, Laura Kelly, extended a challenge to me: I'll send you a box of "mystery" supplies and you create something unique with it. Oooh.....That's ALL me! Challenge accepted, Ma'am. 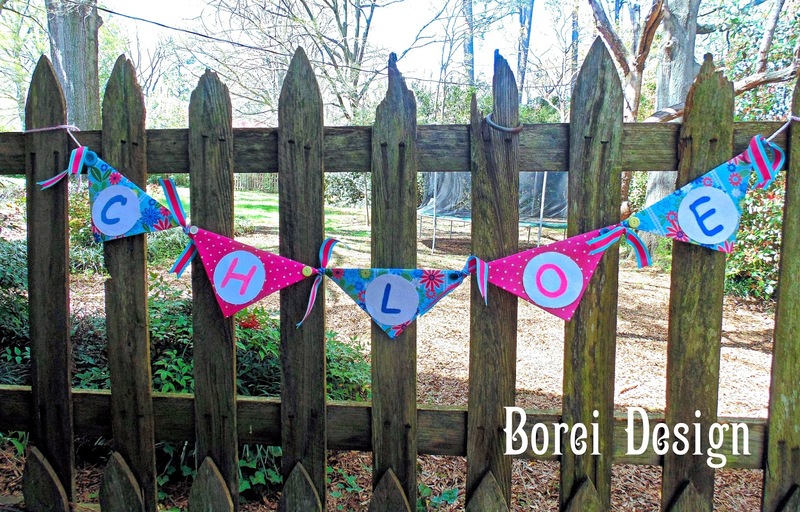 Here's how I made a cute custom flag banner. 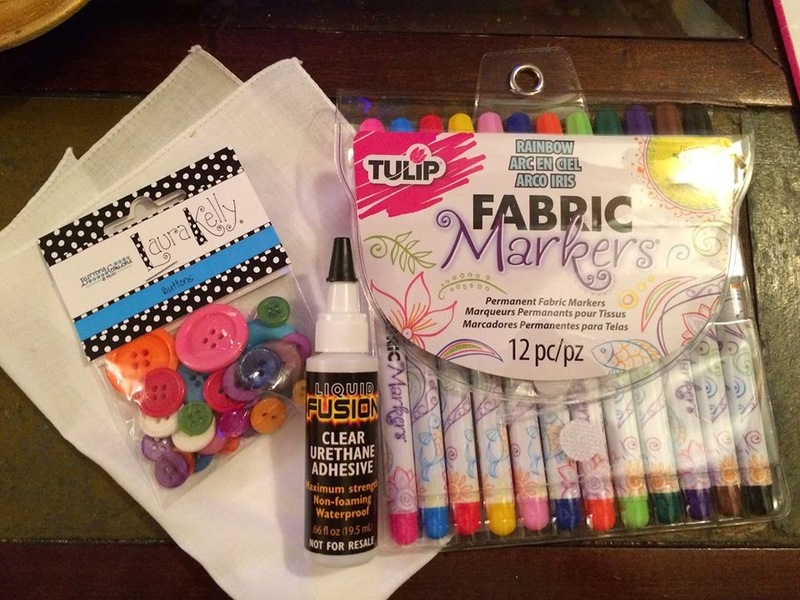 Below is a break down of the awesome supplies I received and selected for my project. 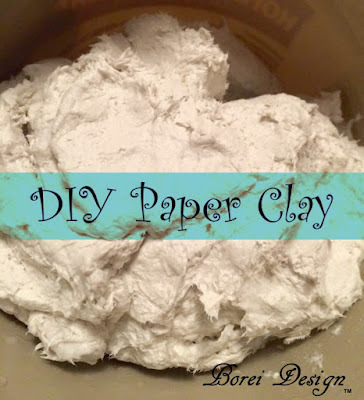 You can find these supplies along with a lot more project ideas at iLoveToCreate. 4. A pack of adorable buttons from Laura Kelly Designs. As soon as I saw them, I thought..."ooh, ooh, I'm going to make a decorative banner for my daughter's room!" 1. Some old manila file folders ready for recycle. Note: I also happened to grab and use a hot glue gun and regular craft glue but it's really not required if you have all the above. 1. 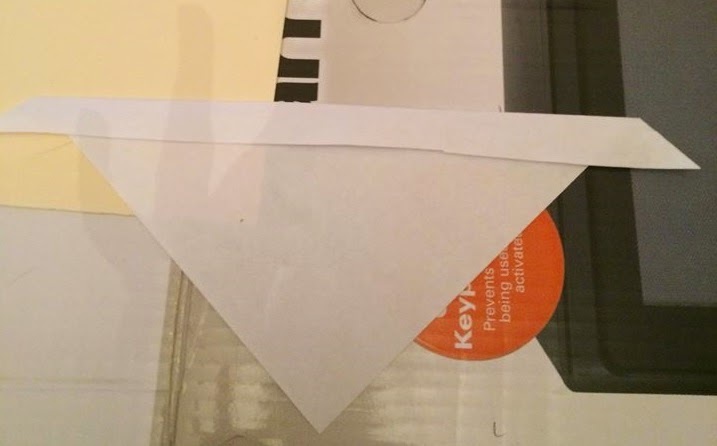 Fold a piece of copy paper from the top corner down to the opposite side of the paper (evenly) to form a triangle. 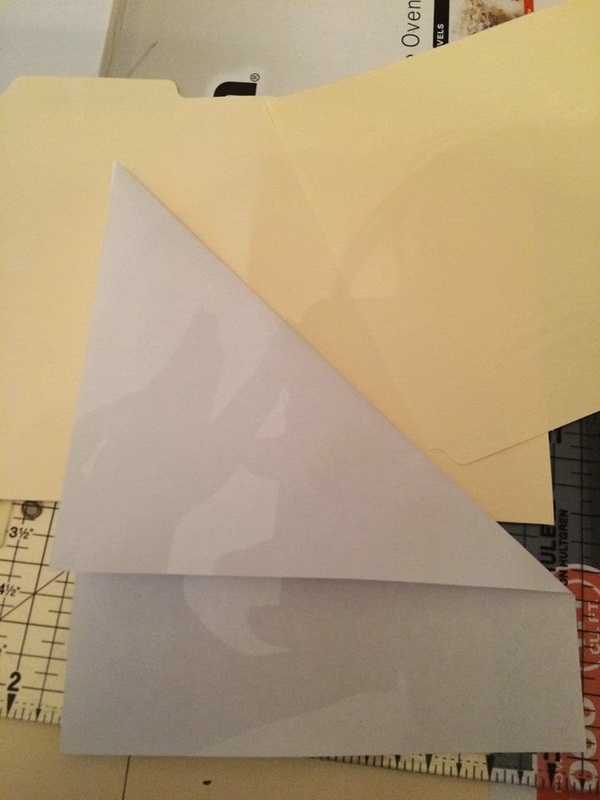 Cut the triangle part of the paper free on the crease line to create the basic pattern to use for the flags. 2. 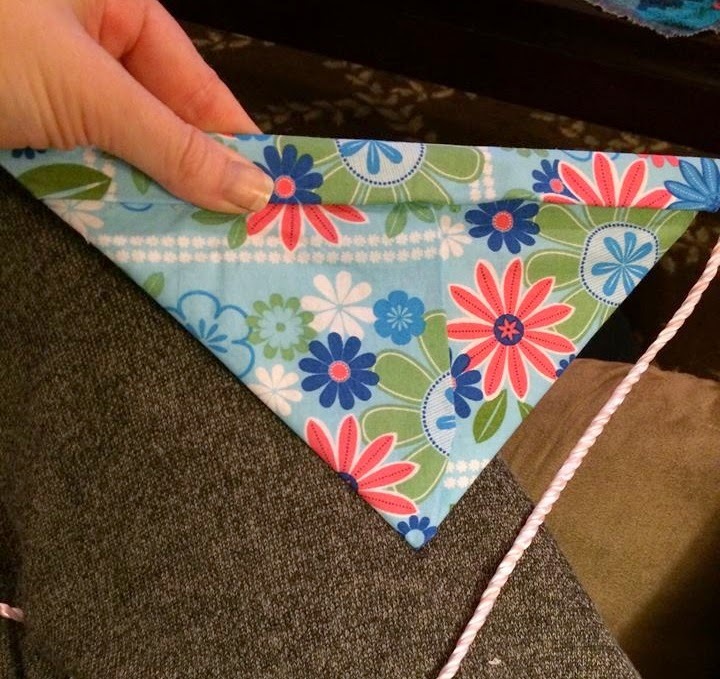 Fold the long edge of the triangle down about one inch and then clip the edges even on the sides. 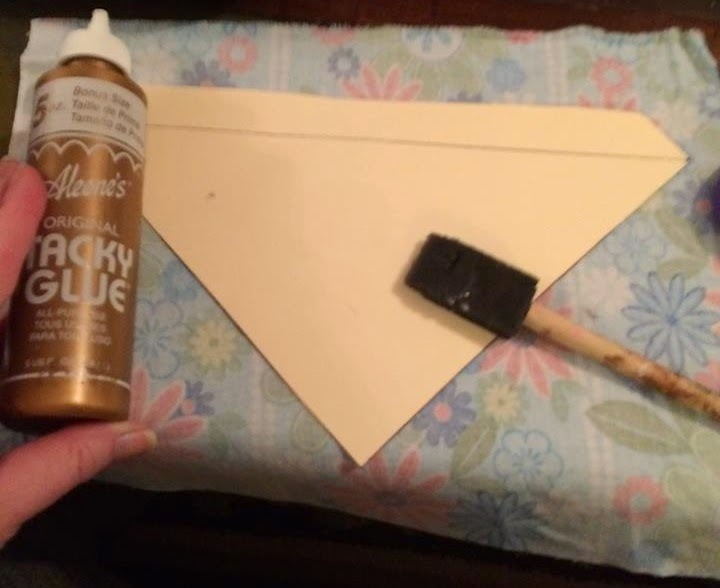 This will serve as the flag fold line on your pattern. 3. 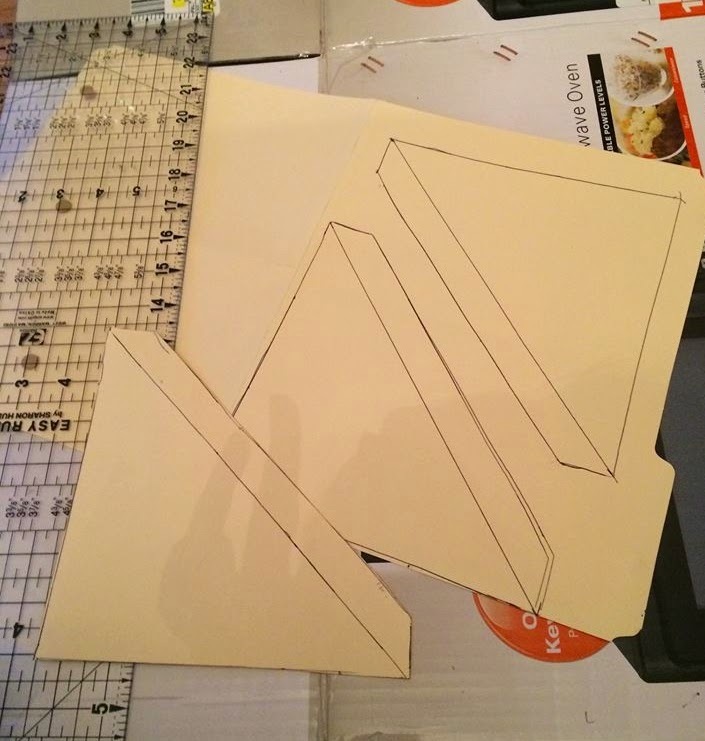 Trace your paper pattern (including marking the flag fold line) on one side of a folder to create a flag. 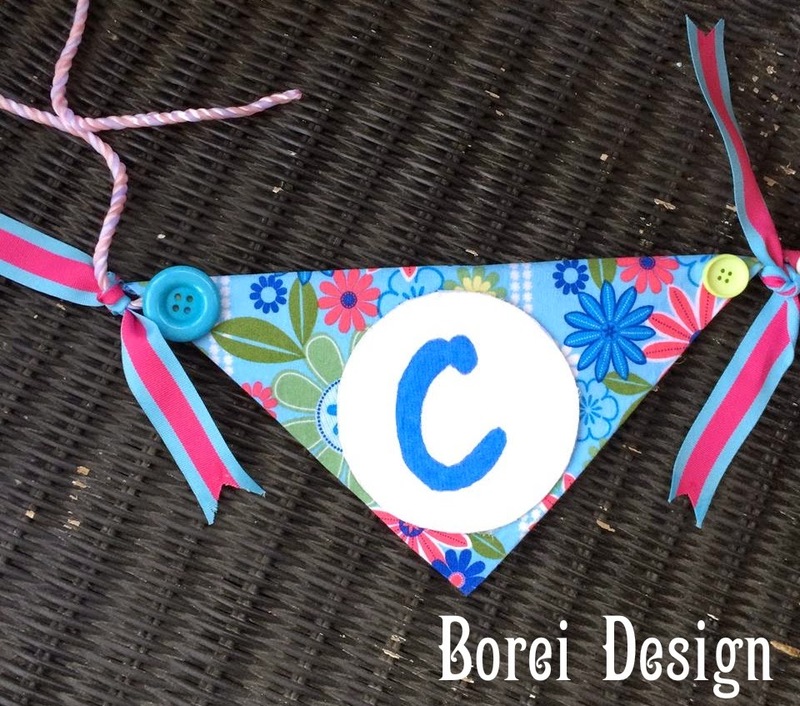 Create as many flags as you need for your banner. 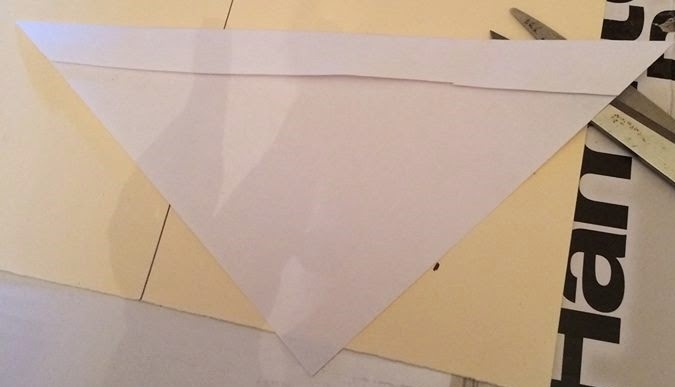 Be sure to go ahead and fold each flag on the marked fold line, making sure you get a nice pliable fold. 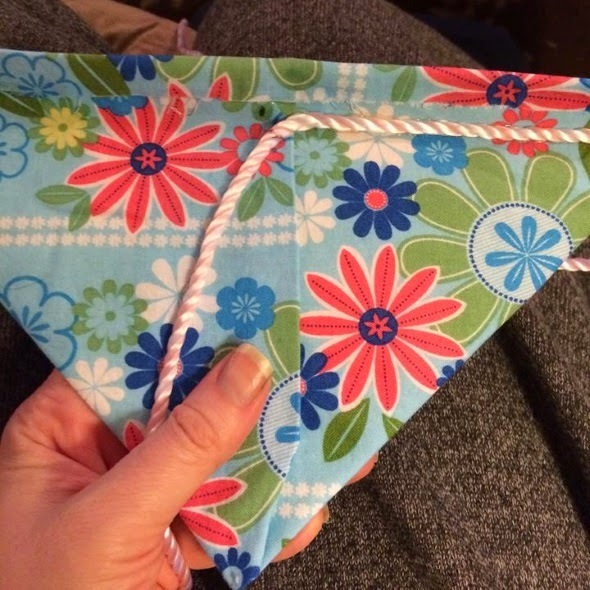 You will need to still be able to fold the flag on this line later, once it's covered with fabric. I folded each of my flags back and forth several times. 4. Now it's time to cover them! 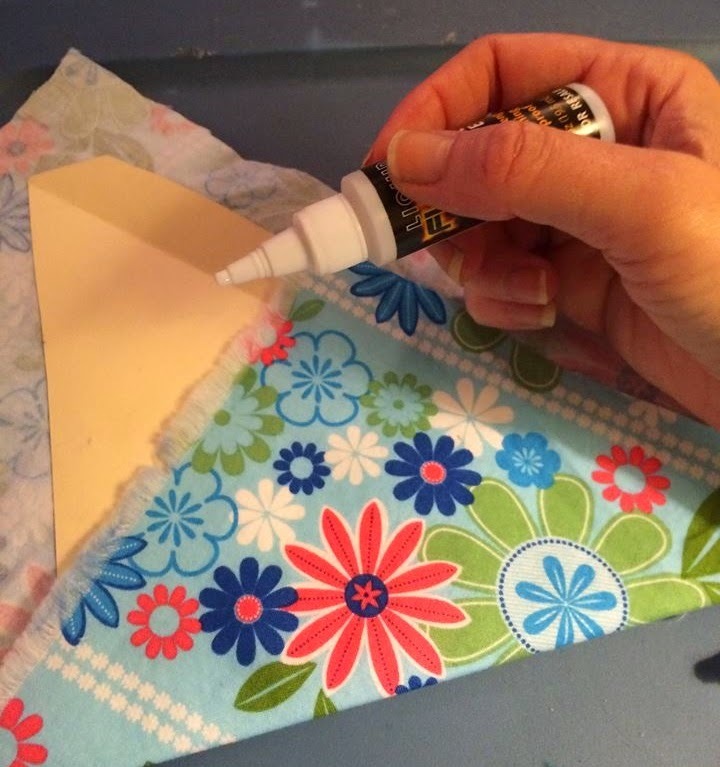 Cut enough fabric to cover the front of each flag plus some extra for covering the back. I added a thin layer of regular craft glue to one side of the flag (Modge Podge would work well also) and pressed it down in the center of the fabric, smoothing out all wrinkles and allowed it dry. Once it was dry, I closed up the back of the fabric like a present and glued it shut using the Liquid Fusion. This helped to give the back of each flag more of a finished look. 5. 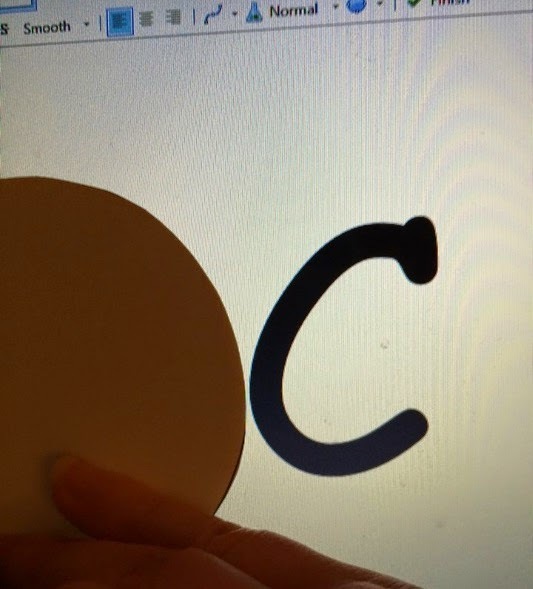 I drew and cut out a circle (one for each of my flags) from a scrap piece of white poster board. 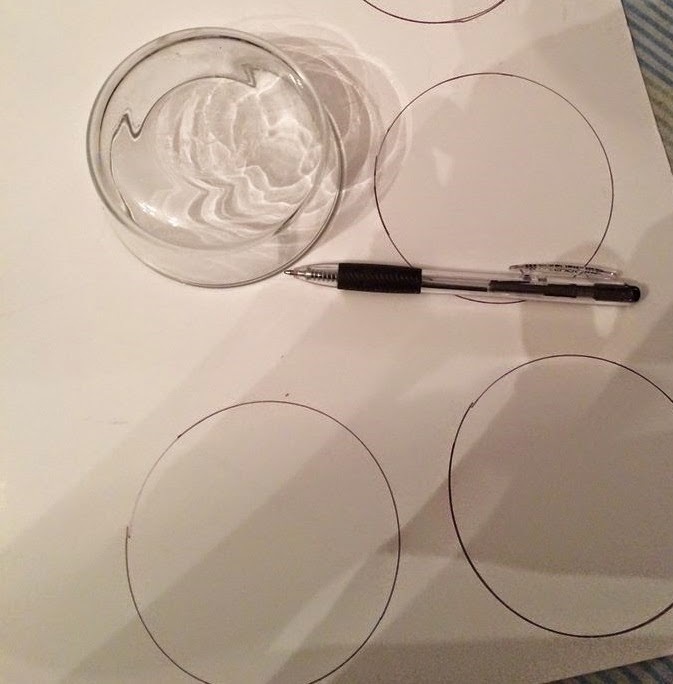 I traced around a small condiment bowl to create my circles . You could also use a glass or a compass to get the exact size you want. 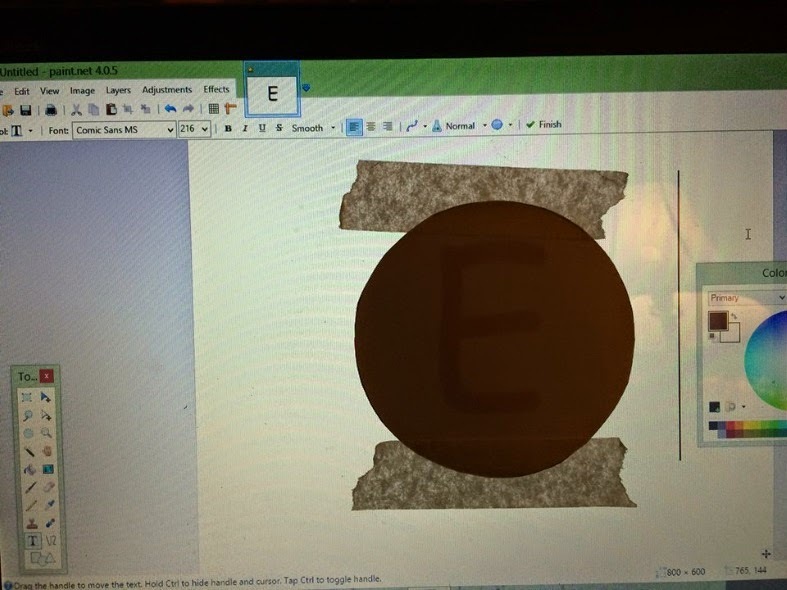 I then used my computer as a light box to trace my letters (used masking tape to hold each circle to the screen) with a pencil in the desired font. 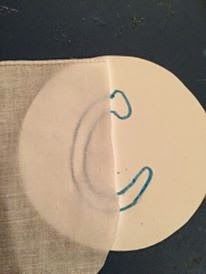 Be sure to trace as lightly as possible because you don't won't to scratch your screen plus the bandanna (that you will use later to cover the circles) is very thin and dark pencil marks will show through. After removing the circles from my screen I went over my pencil lines using the paint marker I desired for each color to create darker guidelines for the lettering. Note: I used the paint.net program (free download) & the Comic Sans MS font in size 216. 6. 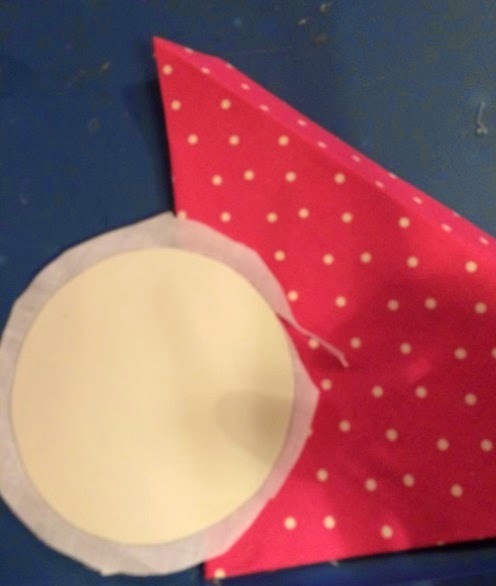 I cut out squares of fabric from the bandanna and glued it on the top of each circle using Modge Podge. 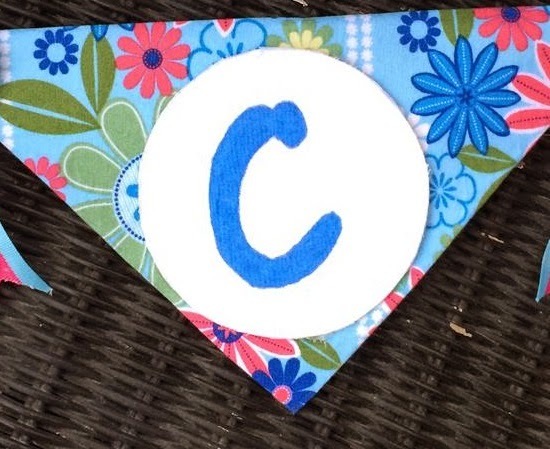 Once it was dry, I trimmed the bandanna fabric even on each circle and colored in each letter on the the front of the fabric using the Tulip Fabric Markers. Once the marker was dry I glued a circle (letter) to the front of each flag. 7. 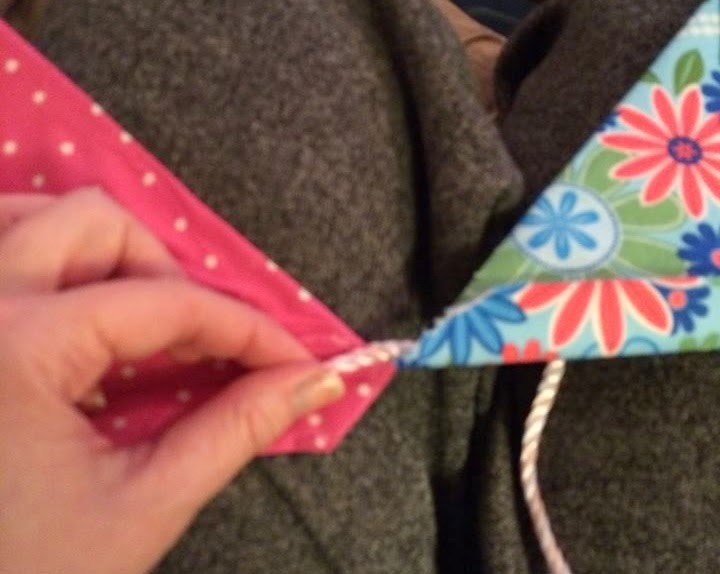 Fold each flag (at the flag fold line you created before) on top of the cord and secure the fold with glue. I found the center of my cord and glued my center flag on first and worked outward on each side, gluing each flag end to flag end. You can start gluing left to right if you prefer, just be sure to leave or trim the leftover cord on each side (used for hanging) evenly. 8. For accents I glued buttons in the corner of each flag and tied snips of ribbon between inch flag & it's ready was ready to hang!